Go on over to Poppytalk to check out their ticket giveaway for the July 9th screening of Handmade Nation in Vancouver! I'll be there too!! San Francisco: see Handmade Nation this week! Just a heads up that Handmade Nation will be screening for a second time this week on the 16th in SF at San Francisco Design Week. Tickets and information are HERE. I won't be making the trip but I will be out that way in August. More details on that soon! 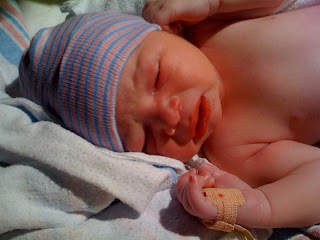 Co-Author of Handmade Nation Cortney Heimerl gave birth to her healthy baby boy today! The 7lb 9oz lil' guy is still going by his nickname bun bun, and I'll let you know when they pick the real deal! Note to self: experiencing the birth of your best friends baby will really change your life. MAAAAAAAAGICAL. My friend Jen Bekman does amazing things. Her website 20x200 is having a sale and you should check it out. Keep an eye out for a print on 20x200 from Jill Bliss that is a fundraiser for Handmade Nation this summer too! The 20% More Ridiculous Sale on 20x200 is a site-wide 20% off sale, which we've only done once before, and it'll be at least a year before we do it again. Collectors get 20% off their print order when they enter the code RIDONK at checkout. It was such a cool opportunity to get to pick stuff that I think deserves attention and have ReadyMade whip up such a great layout. 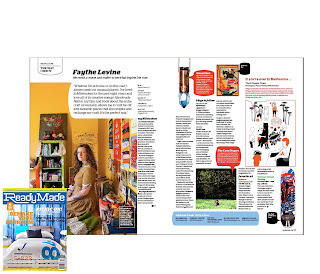 I got two pages of picks in the recent issue of ReadyMade including shout-out's to Palomino, Fasten, SkyHigh, My Love For You blog, 20x200, Portland Contemporary Craft Museum, Design For Mankind, the Cave Singers and the Third Drawer Down in Melbourne. Also Bruce Metcalf wrote a review of Handmade Nation on the ACC Creating A New Craft Culture blog that is worth checking out if you are interested in the old school meets new school craft dialouge. Read it here.